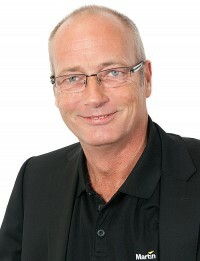 In a move to drive growth and provide customers and channel partners with the best possible sales and support infrastructure in the EMEA region, Harman Professional today announced the appointment of Steen Matthiesen to sales director, EMEA, for its Lighting Strategic Business Unit (SBU), Martin Professional. Matthiesen, a 14-year veteran of Martin Professional and former chief financial officer of EMEA fills the role previously held by Villads Thomsen, who was recently promoted to global sales director. Effective immediately, Matthiesen will focus on providing customers and distributors in EMEA with access to the most comprehensive and valuable product offerings and programs to achieve their professional goals. "Steen Matthiesen is a proven leader with a deep empathy for our customers’ needs and a highly evolved understanding of the various markets that Martin Professional serves," stated Lars Dige Knudsen, vice president and general manager, Martin. "I am pleased to have a professional of his calibre in this important position and I look forward to working with him to advance our business and support the needs and ambitions of our customers throughout EMEA." During Matthiesen’s leadership of Martin’s France subsidiary, the Martin European sales operation was transformed from independent subsidiaries and distributors to one unified, efficient and effective EMEA sales and service organization. Commenting on his promotion, Steen Matthiesen noted: "Martin Professional — with the partnership and resources of Harman Professional — is on the cusp of exponential development and this is extremely good for our customers! It means that we’ll have deeper integration, stronger innovation and new team-members to count on. I am delighted to be part of the new Harman and Martin team, to lead sales for EMEA and to bring this exciting message to our customers!"